Free Yoga Open House on April 27th! Since Ember Yoga opened in 2010, we have had multiple, weekly community classes on our schedule. Community classes are regular classes taught by regular teachers. The only difference is that these classes are offered on a donation basis. Our suggested donation is $10, but you can attend these classes by giving the studio a donation of any amount at all. If you currently have a membership or class card, there is no additional charge for community classes, they are part of Ember's regular schedule of weekly classes. 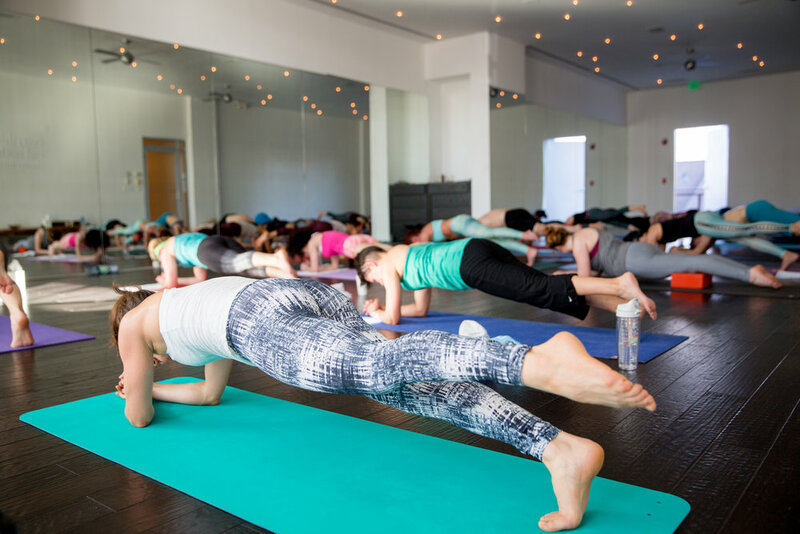 Community classes give you an opportunity to attend the studio, be part of our community and receive master level yoga instruction even when finances are tight. Ember is not a gym, we are a yoga school. We are dedicated to the philosophy of yoga and the quality of life benefits to the individual, and the community as a whole, when a practice rooted in mindfulness is at the heart. We believe that yoga is for everybody. Regardless of age, health, wealth, ability or flexibility. These community classes ensure that everybody has access to the practice of yoga. We do not just offer one of these classes either. Since opening, we've have five weekly community classes.